Previous Post Baltimore: Factory Warehouse Sale is Back!! That is such a lovely dress! 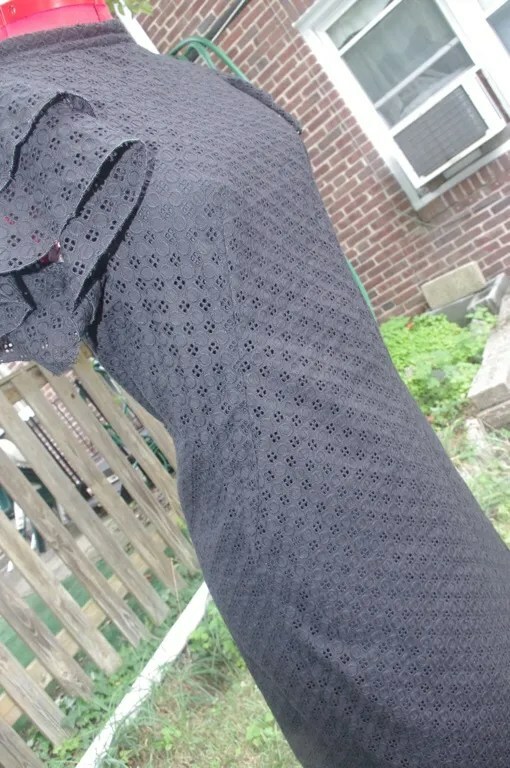 I love simple black dresses with special features, like those sleeves. Oh how I love this pattern. I have the pullover cut out but have yet to sew it up. I like how you added the flutter sleeves. So unique. I’m super excited for you!!!! I really really am loving the coverstitch. It takes a little getting used to but the results are wonderful. Once I get the hang of it I hope to post some more photos on all the lovely things I can do with it now. And, this is fitting. Because after your last post I decided to reorganize and move my sewing room to a spare room. You inspired me too!! You are such a wonderful/naughty influence ;oP The dress is lovely, such a clever idea to add the flutter sleeves to it! I hope there will be some photos of you actually in it. THis is such an epic pattern – I’ve made it more times than I can remember. It’s got great lines but is a simple sew. Love your version! It was your version(s) that got me to try it as a woven! It really is a great little pattern. I’ll be making this over and over again. I love how a simple design can look awesome with a few little tweaks! Beautifully done! I love swapping sleeves! Really nice dress! 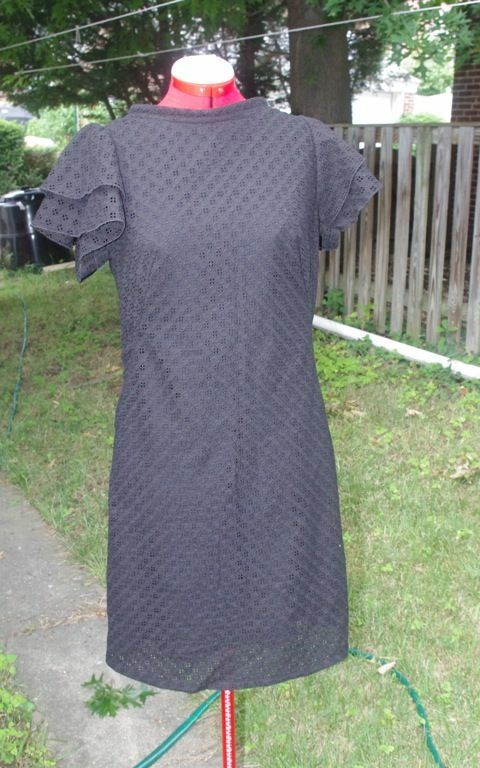 This is a great combo of patterns to make one lovely dress! You should def make another. Oh, I wish I could see a picture of you wearing it. I love flutter sleeves. They are cool and so flattering to most people’s arms. This is quite a lovely dress. The sleeves are a really nice touch, great inspiration. Renee – what a lovely dress (the sleeves make the dress, seriously)! 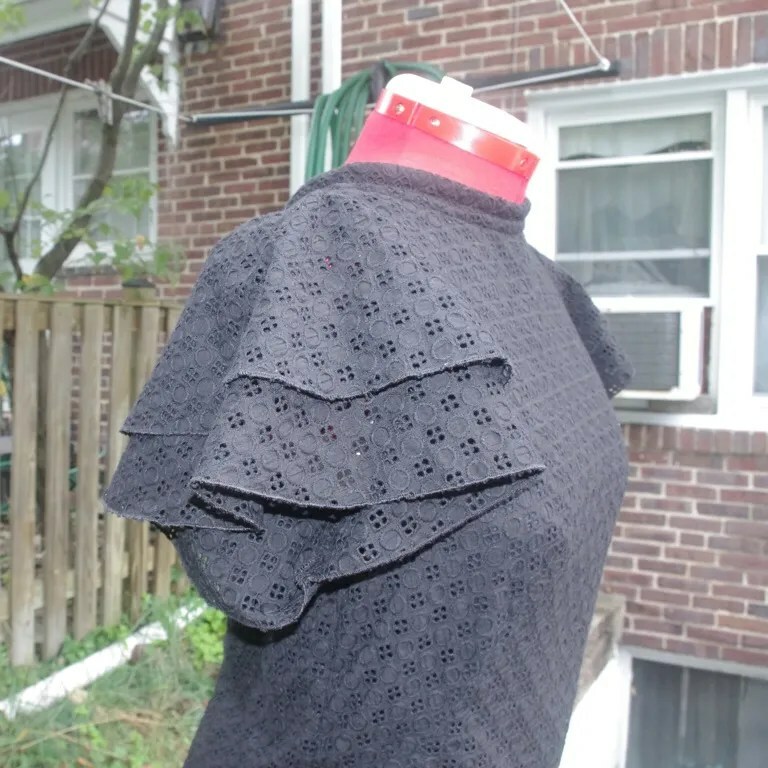 We forget what doing something cah-razy with the sleeves can do for a simple dress (which is why I love Ronda Chaney’s book, “Make It Your Own” because he shows all sorts of things that you can do to change sleeves to dress them up). Honestly, you wouldn’t want to make the other dress. 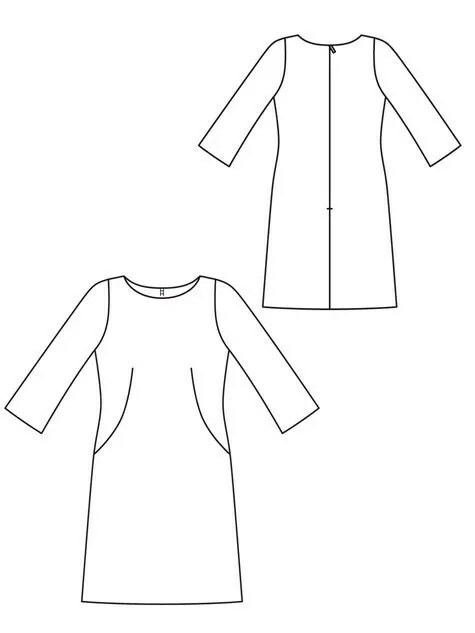 I am sewing the longsleeved version right now and the fit is awful (like the whole pattern). Ugh! Really? It’s been on my ‘to sew’ list for two years. I was even thinking of just making the top versions since I didn’t have enough fabric for the dress. Normally Burda fits me with just a few little alterations, but with this pattern I had to make the upper front pieces three times, until the fitted. 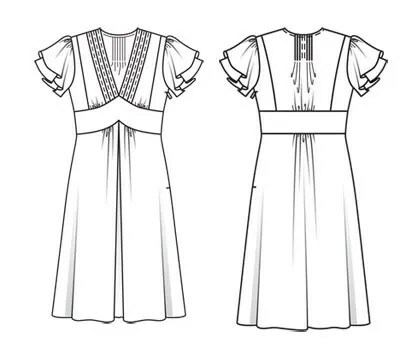 The pleats in the pattern look very different to the pleats in the picture and the skirt is not a full as it should be. And honestly. It’s a satin dress and making a full shirt sleeve with cuffs and a vent is a very bad idea. 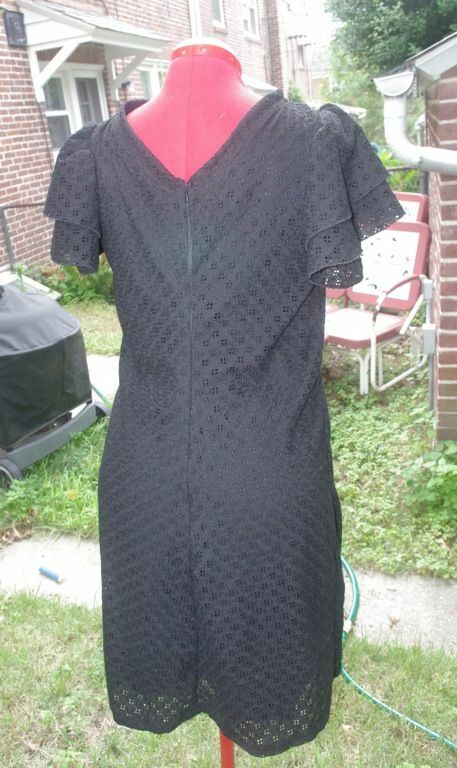 You absolutley can make this dress, but you should make a muslin first at any cost. The dress is terrific, what brilliance to add the fun sleeves to jazz it up. the sleeves really do make that dress. love how it came out- very elegant! This dress is just gorgeous.LOVE the sleeves. I was surprised to learn that a pattern originally for a knit dress would work for a woven fabric. how lovely! would love to see it on you. 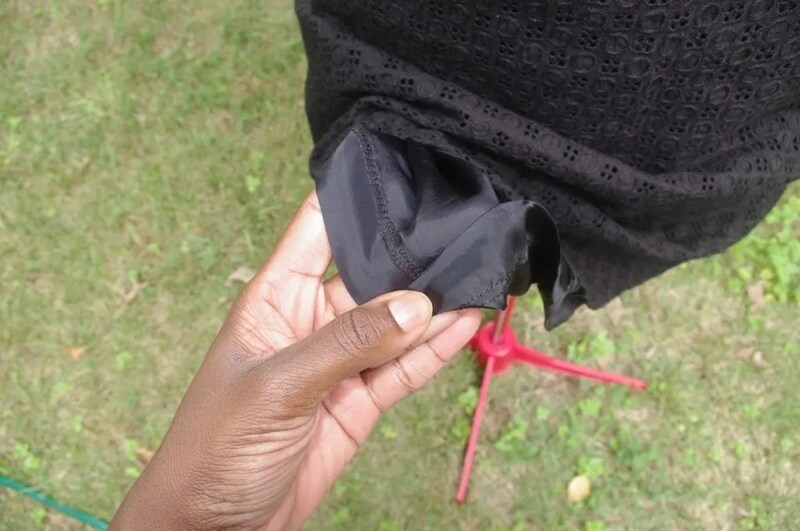 i am just starting to sew clothes again and im in awe of your talent! you are my inspiration :o) lol no pressure! I love this, great sleeves adds just the right drama. Love your eyelet dress. The sleeves are a perfect touch for this dress. Wow, great dress! I love the sleeves – such a great idea to jazz it up! I’m looking forward to more posts about your cover-stitch machine. It’s my next big purchase so I love reading up on what others have to say about them. Love the dress – even if it’s in black. Nice choice with the sleeve too. Now that is a great frankenpattern.